Any expat will tell you that life abroad is full of ups and downs. There are times when nothing goes smoothly which somehow manages to cast everything else in a negative light and then there are times where you're in complete and utter awe, feeling entirely fortunate to call this home. 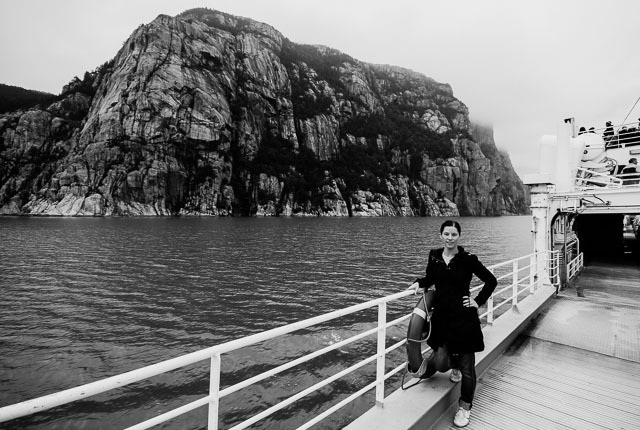 Cruising the Lysefjord on the tourist car ferry was the latter. Joe and I have driven along the Lysefjord a couple of times, we've hiked to the top of Preikestolen and viewed it from above but we had never experienced it from the water. 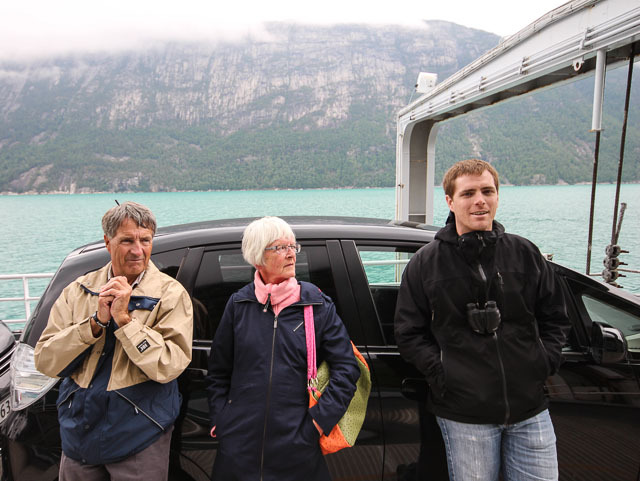 With my parents in town, we decided to forgo the usual fjord cruise from Sentrum and drove to Larvik to meet the tourist car ferry which would take us all the way to Lysebotn, a tiny village at the end of the fjord where we'd debark and drive through the mountains back to Stavanger. The Lysebotn car ferry only runs in the summer months and it's apparently pretty popular as one must book their spot on the boat in advance. The weather prospect for the weekend was touch and go. 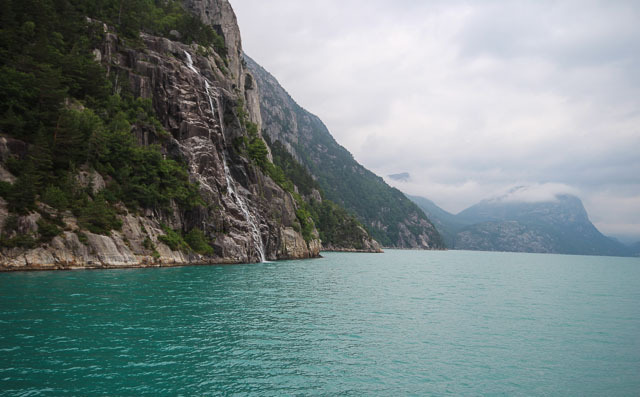 Of course, fjord viewing is best done under clear skies but we couldn't be certain that our other opportunities wouldn't be marred by rain so despite the overcast forecast, we forged ahead. Stunning. Breathtaking. Gorgeous. I could keep going with the adjectives but I'm not sure any of them can accurately describe it and the pictures really don't do it justice. The vibrant colour of the water juxtaposed against the grey rock and dark foliage; the feeling of solitude as we cut through the glassy surface; the waterfalls every few feet and that crisp, clean air that feels like life in your lungs leaves everyone mesmerized. Despite being on a boat carrying dozens of vehicles (from cars to busses to large semis,) it's easy to feel dwarfed as you're encased by mountains and it's certainly one of those moments where I couldn't help but feel so lucky to call this place home. My post 'Thoughts on Ethical Travel' has been featured as a Top Travel Blog Article as part of #SeeTheWorld's Creation Curation. Check it out here along with 9 other great reads. 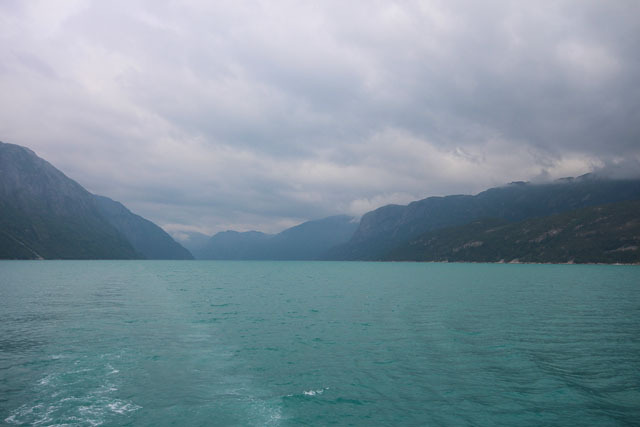 Wow...i love both the colours and hues and the monochromatic look of Lysefjord. So beautiful and a place I would love to visit too. Breathtaking! It looks so ethereal. Thanks Danielle - very happy you decided to stick around! But I truly believe that nature is one of Norway's biggest assets - it's part of the reason why I chose to come here! 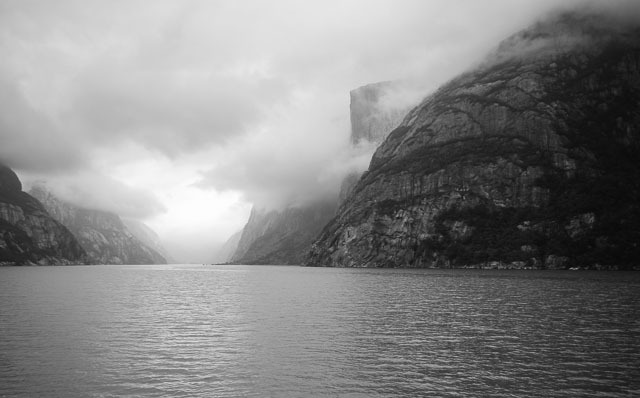 Gah dying to visit the fjords!! So gorg! absolutely gorgeous! i know that this is one place on J's and I's bucket list and for good reason! what a great place to go with parents in town! and congrats on being featured! i personally loved that post of yours! What an absolutely beautiful post, both in photos and in words. Well thank you Marla! I'm happy you enjoyed the post! Your photos are incredible, as is your blog. I'm really looking forward to more! Love this post! Amazing pictures! Congratulations on having your post featured! You definitely deserve it. Swoon. 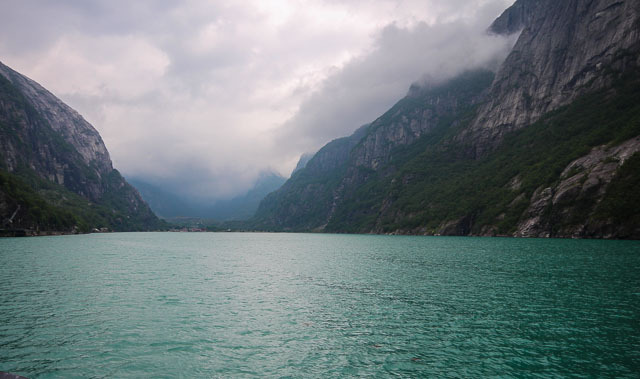 One of my dreams is to see the fjords in Norway. Wow, isn't that just amazing! Oh Jay, these ARE stunning, gorgeous. I love how the fog has softened everything and how lovely that the family was there to see it with you. I am adding these to the list of things to visit when I finally make it up North! Beautiful pictures! This reminds me a lot of Alaska, a place we called home for 3 years. Wow. Gorgeous photos. The landscape is absolutely breathtaking! really nice photos ! ! You are definitely lucky to live there. The fjords and the mountains rising up either side are breathtaking and majestic. I would love to sail along them!